Ulrik now at Leicester Tigers! 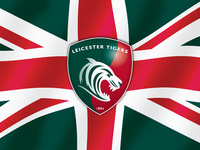 Ulrik Sandstrom has joined the Premiership Rugby 2009 winners Leicester Tigers as their official club chiropractor. He will be at Leicester 1 morning a week, but is still keeping his normal clinic hours in Mansfield and Sheffield.